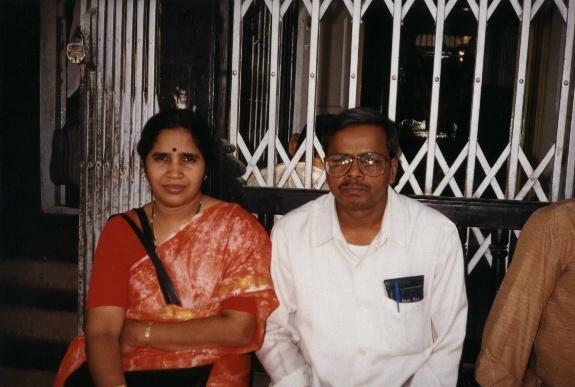 My Father-in-law, Sri M. Saibaba and my mother-in-law, Smt VijayaLakshmi. This snap also was taken in Shirdi, 1998. "Cool" is his initial and "Calm" is his surname. But my aunty doesn't agree!! He is a devotee of Sri Satya Sai Baba.